Team XRAY Nuremberg news wrapup « Big Squid RC – RC Car and Truck News, Reviews, Videos, and More! 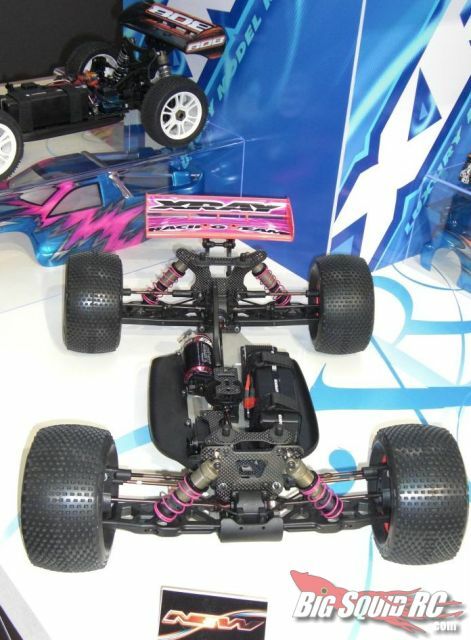 The biggest new item from XRAY at the Toy Fair was their prototype 1/8 scale brushless truggy, the XT8E. They were characteristically tight-lipped about specs, features, release timeframe, and cost at this early point, but it should be a cool new entry in a rather small segment. Being XRAY, the XT8E is sure to be an all carbon fiber race-bred truck, not your typical monster basher. It’s interesting to see XRAY stepping into this class, that must mean it’s gaining momentum. There’s some more promo shots of the truck on their web site, with the stinger being more information coming soon. 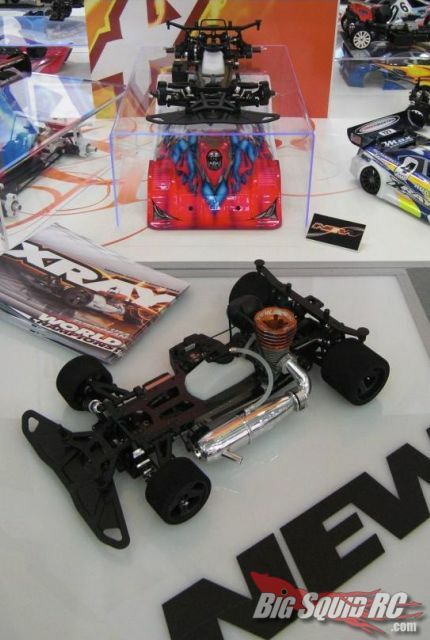 XRAY had quite a few new releases at the show this year, all of them targeted at the high-end racing market, we’ve posted a bunch of pictures and info on them after the break, so click through to keep reading. 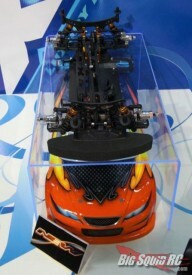 Another big item from the gang was their new RX8 1/8 scale on-road racer. 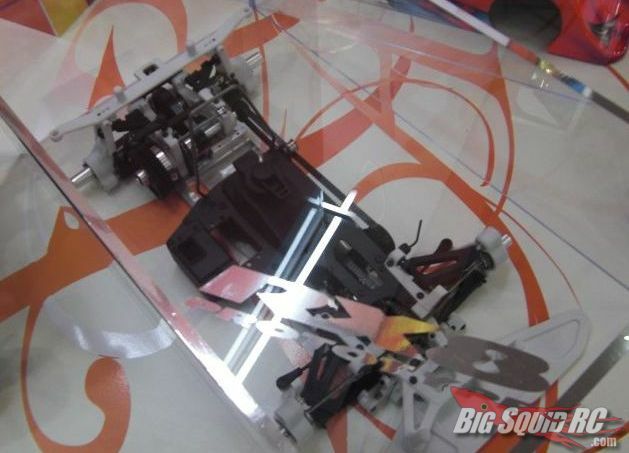 We recently posted a link to the behind the scenes look at the development of the car and XRAY was showing off the rapid prototyped version (above left) of the car as well as the final version at their booth. Check out all the details at the XRAY web site. Also new was their 2011 update to their T3 racing sedan. Some of the changes include a new narrow chassis designed for LiPos, a centrally positioned dual steering system, and an adaptation of XRAY’s Multi-Flex Technology on the T3’s top deck, which will allow adjustments to the car’s stiffness. 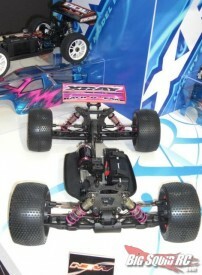 Finally, XRAY showed up the 2011 update to their XB808 nitro buggy and XB808E electric brushless buggy. 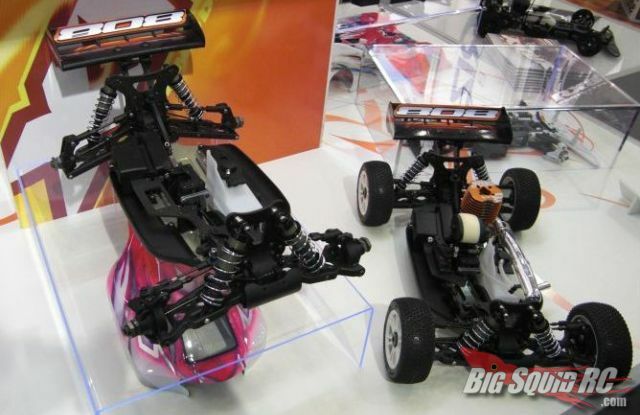 The 2011 nitro update features a new chassis design, an updated centrally aligned drive train, redesigned suspension geometry, improved weight balanced and a ton more. For more info on all these products, check out Team XRAY’s web site.